I adore my apartment at the Verge. It’s a home away from home with my wonderful roommates. I just wish the Verge had less cockroaches though and recycling available on the property. Besides those problems, I love the amenities and I love my apartment itself. it is a good place to live and the Verge is close to UCF. Shuttles are very convient, then you wont have to buy a parking pass. however they are not always reliable. The Verge has great apartments and amenities. You have the option of different layouts. The amenities are amazing, especially the gym. Most importantly the location is perfect. The AC is nearly ineffective and the shower is not built for anyone over 6 feet tall. However, with enough experience, I found myself comfortable. The staff is extremely professional and friendly. I've never hesitated to ask for help. Issues from the occasionally needed minor repairs are handled promptly. Nice apartment not for the price. Also ammentities are constantly unavailable. The rooms are small compared to other apartments in the area. 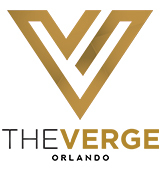 Love staying at the Verge, great location located right next to UCF and the amenities are beautiful!The apartment is spacious and nice, and the staff is super friendly! very good! I like the apartments because they are discrict and i like the pool area because it is spacious and full of good energy. i also really enjoy the gym. I have lived here for two years and it's not terrible. They fulfill maintenance request quick and the pool is nice. Wish the rent was cheaper. Great ammenities!!! I love the clubhouse! It’s a great place to study and grab a coffee! The pool is really nice! It’s so great to live at the Verge because all my friends live here too! Recently, everything seems to be good. The apartment seems to have no issues, which is good. The pool maintenance is a little bit annoying, but since I never really used the pool, I don't particular mind. And it seems as if the place is actually improving a little bit. So its overall a good experience. I chose to be a Verge resident because I loved the area, the staff are always very nice and helpful and the overall look of the main area is very modern and almost looks like a resort. I’ve lived at the verge for almost 2 years now. If the renewal rate wouldn’t have gone up so much I probably would’ve renewed for a 3rd year. I have not had any big problems but a decent amount of small ones. The verge is very focused on looking great from the outside and brining in new residents. I moved in expecting new furniture like they showed in the room during my tour but I’ve had an old couch and now it looks even worse since it is a cheap material. My mailbox was broken for around a month and I had to walk into the office each time I needed to grab my mail. Overall, it’s been nice living here but I wish they cared more about their current residents and kept their prices low. The Verge has really great amenities, and friendly staff who are always ready to help! I’ve enjoyed living here a lot so far & would recommend! Its been nice here with friendly staff and quick maintenance service but this is definitely a roach infested place and it has gotten worse over time and the office doesn't do anything about it. The potholes in the parking lot need to be fixed. Also it would be great if something is done about all the stray cats wondering around getting in fights. so fun and amazing love all the activities!! love studying in the study rooms and so convenient that we can print there too, great staff and great place to live! It has been a decent experience, however there are definitely areas of improvement. For example the parking lot is so full of pot holes and uneven ground that if you don’t drive extra carefully your car can be ruined. I believe the cost here is a bit too high for the quality we get.